First Quilt Workshop a Success!! I had an awesome time with 17 eager quilters today. I presented my first quilt workshop for the Juniata County Quilt Guild. 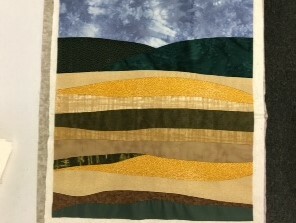 I taught them how to piece using curved cuts and to design a quilt in a more contemporary style. The three hour workshop was just enough time to piece the art quilt itself but not to finish it by quilting and binding it. 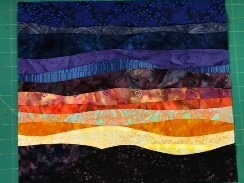 I look forward to seeing photos from the Guild of some of the finished quilts in a few weeks. 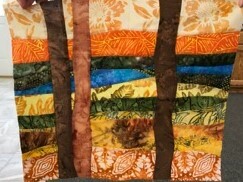 I’ve included a few pictures in this blog of some of the wonderfully creative and well sewn quilts. 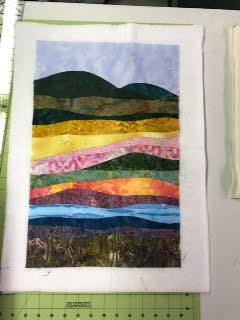 The color combination are stunning and the eagerness to try new things made the workshop lots of fun! Congrats quilters for a fun morning! !